I'm convinced that April 22, 2012 will forever be recognized as one of the most Android-packed day of all time. Why, you ask? Because that's the day that the day that Sprint's Galaxy Nexus, LG Viper, and LG Optimus Elite will be available, as well as the Samsung Galaxy Tab 2 7 and ASUS Transformer Pad 300. Looks like AT&T didn't want to be left out, so it announced this morning that its version of the HTC One X would be available for pre-order on that very day for $199, with a release date set for May 6th (which lines up with previous rumors - good job, Best Buy!). So, there you go, AT&T folks - only four more days until you can pre-order this next-gen powerhouse! 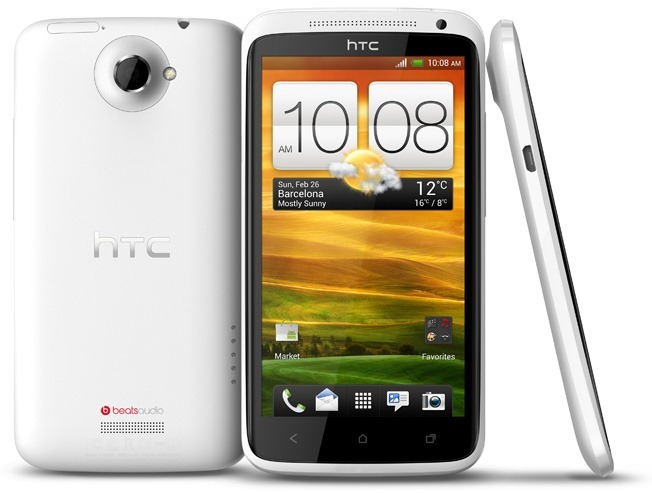 The first smartphone from AT&T* to launch with the latest version of the Android operating system (4.0), the HTC One X, will be available from AT&T beginning May 6 for $199.99. HTC One X is AT&T's first smartphone with Beats by Dr. Dre™ Audio built-in to the hardware and software. HTC One X is the first smartphone from AT&T to offer HTC Sense™4 to deliver an amazing camera with improvements to the lens, sensor and software, an authentic sound experience with Beats by Dr. Dre Audio, and long-lasting battery performance to accommodate heavy mobile use. Pre-orders for HTC One X will begin April 22. Customers can visit any company-owned retail store orhttp://www.att.com/onex for more information. An all-around workhorse with unique customer benefits, the HTC One X is the flagship of HTC's One line of smartphones. Combined with the nation's largest 4G network, with 4G LTE backed by AT&T's HSPA+ network, the One X becomes the complete package for Android users. AT&T customers have access to the nation's largest 4G network, covering nearly 250 million people. As 4G LTE expands, AT&T customers are able to enjoy a widespread, ultra-fast and consistent 4G experience on their compatible device as they move in and out of LTE areas. AT&T has two 4G networks that work together for customers, LTE and HSPA+ with enhanced backhaul. With other carriers, when you travel outside of their LTE coverage area, you're on a much slower 3G network. HTC One X is the first device from AT&T with HTC's authentic sound experience featuring Beats by Dr. Dre Audio integration, offering rich, full sounds with professional-grade sound engineering to play the music how the artist intended. Beats Audio provides a distortion-free sound at higher volume and rich bass at all levels whether you are watching movies, playing games or streaming music. HTC One X is custom tuned for the best audio performance when used with Beats by Dr. Dre accessories,** including the Beatbox (AT&T exclusive), Wireless HD Stereo Bluetooth Headphones, Beats™ Solo™ HD Headphones, and UR Beats™ In-ear Headphones. With built-in software on the HTC One X, customers can connect it to a computer and HTC's Sync Manager software automatically installs to your computer and once connected, makes it easy to move music and playlists to your phone from your music library. The laminated cover glass and touch layer significantly reduce light reflection for superior sharpness and clarity, and is protected with Corning® Gorilla® Glass. HTC One X is made with a beautifully crafted polycarbonate unibody design that showcases its clean lines and seamless construction. For many consumers, their smartphone doubles as their camera. HTC One X's 8MP HD camera features ImageSense and rivals traditional digital cameras with improvements to every part of the camera including the lens, sensor and software, while integrating HTC's new ImageChip to make quality picture taking a breeze. Fumbling with the menu and settings on your smartphone is frustrating when the perfect shot is right in front of you. Within seconds, you can launch the camera from the lock screen and the camera quickly autofocuses and zeros in on your subject. Zero shutter lag also lets you take continuous shots simply by holding the shutter button. HTC One X takes beautiful photos under low-light, no-light, and back-light conditions. The Video Pic feature allows the capture of still pictures while recording video in HD as well as the ability to capture a still image from previously recorded video. The HTC One X's next-generation 1.5 GHz Qualcomm Snapdragon™ S4 dual-core processor allows customers to run heavy duty tasks such as creating and editing homemade videos smoothly without any lag, while the 1,800 mAh embedded battery, and software enhancements that improve battery performance by 50-100 percent over previous HTC phones, offers hours of uninterrupted entertainment time. HTC One X will be one of the first devices in the U.S. with the simple and intuitive HTC Sense 4 user experience. It helps make the Beats Audio experience possible while listening to any audio component and features camera enhancements including a quick launch feature for the camera on the HTC One X – dramatically cutting down the time needed to move from the lock screen to snapping a picture. Limited-time offer. HTC One X requires a new 2-yr wireless agreement with voice (min $39.99/mo) and min monthly data plan ($20/mo). Subject to Wireless Customer Agrmt. Credit approval req'd. Activ fee $36/line. Geographic, usage and other terms, conditions and restrictions apply, and may result in svc termination. Coverage and svcs not avail everywhere. Taxes and other charges apply. Data (att.com/dataplans): If usage exceeds your monthly data allowance, you will automatically be charged overage for additional data provided. Early Termination Fee (att.com/equipmentETF): After 30 days, ETF up to $325. Restocking fee up to $35. Other Monthly Charges/line may include a Regulatory Cost Recovery Charge (up to $1.25), a gross receipts surcharge, federal and state universal svc charges, fees and charges for other gov't assessments. These are not taxes or gov't req'd charges. Visit a store or att.com/wireless to learn more about wireless devices and services from AT&T.